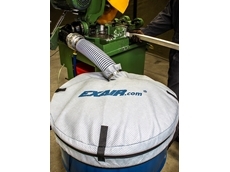 EXAIR has introduced a new fine mesh non-woven drum cover designed for use on 205 litre or 60 litre drums. 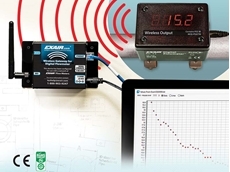 EXAIR introduces a new range of digital flowmeters with wireless capability, designed for businesses to measure and monitor their compressed air usage. 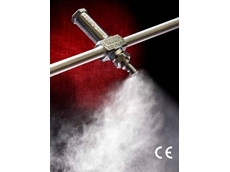 EXAIR has released a new no drip spray nozzle designed to conserve liquid and operate in space-constrained applications. Compressed Air Australia introduces a new range of digital flowmeters from EXAIR in expanded sizes. 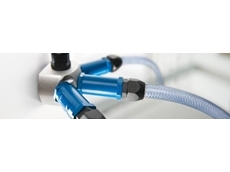 Designed to monitor compressed air consumption and waste, EXAIR's digital flow meters now come in an additional six new sizes, simplifying the process of assessing usage trends, especially in the critical areas or individual legs of a compressed air system. Tracking the usage of compressed air helps identify high compressed air use areas and compressed air leaks so that the shortcomings can be eliminated to optimise air use and save the company thousands of dollars each year in compressed air waste. 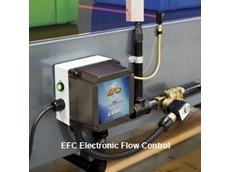 Airflow values expressed in SCFM (standard cubic feet per minute) or m³/Hr (cubic metres per hour) are available in EXAIR’s range of digital flowmeters. EXAIR’s digital flowmeters for schedule 40 iron pipes are ready to ship in sizes ½”, ¾”, 1”, 1½”, 2”, 2½”, 3” and 4”. The CE and RoHS compliant flowmeters can also be ordered for schedule 80, 10S or Type L copper pipes. 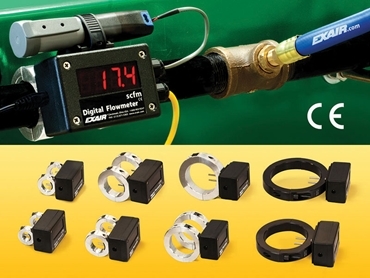 The digital flowmeters can be supplied with a USB data logger and software. 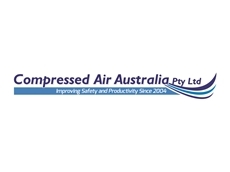 Compressed Air Australia also offers summing remote displays that simplify monitoring of compressed air consumption from a convenient remote location.